What's left to sanction in North Korea after its big nuclear test? After North Korea carried out its most powerful nuclear test yet, the U.S. is pushing for even tougher measures to squeeze Kim Jong Un's regime. But how much further can they go? "People need to cut off North Korea economically," said Treasury Secretary Steven Mnuchin, who's drafting a new sanctions package for President Trump to consider. 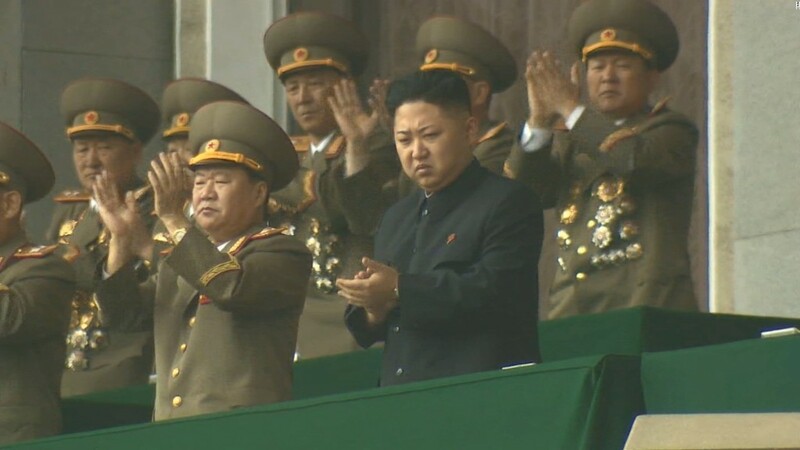 The U.S. and its allies are also aiming to push through a new round of multilateral sanctions at the U.N. Security Council, including targeting North Korea's oil imports, senior Trump administration officials told CNN. The last set of U.N. sanctions were approved less than a month ago, aiming to kill a billion dollars' worth of North Korean exports by hitting major industries such as coal, iron ore and seafood. 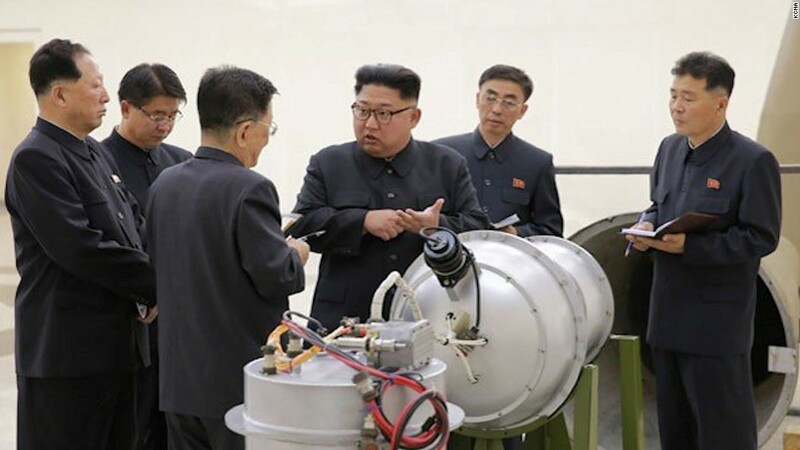 But analysts warned at the time that the measures were unlikely to be enough to make Kim back down on North Korea's rapidly advancing nuclear weapons program. So what's left for Trump to go after? China is estimated to account for about 90% of North Korea's foreign trade, providing a vital link between Kim's regime and the global economy. North Korean exports to China provide the regime in Pyongyang with an important source of income. And Chinese exports to North Korea include goods that the isolated country needs to keep functioning. High on that list is crude oil. Curtailing oil shipments to North Korea is one of the measures the U.S. is seeking in a new package of U.N. sanctions, senior administration officials told CNN. The move would put severe pressure on the North Korean regime by hurting broad swaths of the economy like farming. But it's become impossible to accurately keep tabs on how much crude China sells to North Korea since Beijing stopped including it in customs data a few years ago. "With no data being reported, oil might be a way to either squeeze -- or support -- the regime without any outsiders being able to scrutinize what they are doing," Kent Boydston, a research analyst at the Peterson Institute for International Economics, wrote in a recent blog post. That kind of lack of transparency fuels the skepticism of experts, who dispute China's claims that it rigorously implements U.N. sanctions against North Korea. And one Chinese newspaper played down the idea that Beijing would cut off oil shipments. "If China completely cuts off the supply of oil to North Korea or even closes the China-North Korea border, it is uncertain whether we can deter Pyongyang from conducting further nuclear tests and missile launches. However, confrontation between the two is likely to occur," said an English-language editorial by Global Times, a state-run tabloid that often takes a nationalistic stance. How much damage can North Korea's weapons do? The latest U.N. sanctions have already banned three of the top five product categories that China buys from its smaller, poorer neighbor. The remaining two involve textiles and apparel. What's not clear is how well North Korea's textile industries are doing. Analysts say some trade data indicates exports for those sectors fell last year. But a recent in-depth report by Reuters from near the Chinese-North Korean border suggested Chinese companies are stepping up their use of North Korean factories to make clothes that are then labeled as "Made in China" and exported overseas. The apparent size of the North Korean textiles business makes it a potential target for future sanctions, experts say. "I can't help thinking if I were some kind of Chinese entrepreneur, I wouldn't want to be sinking more money into North Korea right now," Boydston told CNNMoney. Doubts about the willingness of China and Russia to really put the squeeze on North Korea has prompted calls for the U.S. to crack down harder on companies from those countries that do illicit business with Kim's regime. The Trump administration has already taken some action on that front, including sanctioning a bunch of Chinese and Russian entities over their alleged North Korean dealings. In June, the Treasury Department blocked a regional Chinese bank accused of having illicit North Korea ties from accessing the U.S. financial system. But former Treasury official Anthony Ruggiero has said that much stronger action could be taken against Chinese banks, including major fines. "Chinese banks are integral to the operation of these illicit networks and the Trump administration will need to target them to move its pressure campaign to the next level," Ruggiero, a senior fellow at the Foundation for the Defense of Democracies, said in an opinion article for Fox News. But other experts say that China will never push North Korea far enough toward the economic brink to make Kim change course on nuclear weapons. Chinese leaders want to preserve the regime in Pyongyang as a strategic buffer against U.S. influence in East Asia and avoid the chaotic collapse of a neighboring country. By ramping up the pressure on Beijing, some experts warn, Trump could provoke a Chinese backlash against U.S. businesses in the region. --Elise Labott, Jackie Wattles and Serenitie Wang contributed to this report.